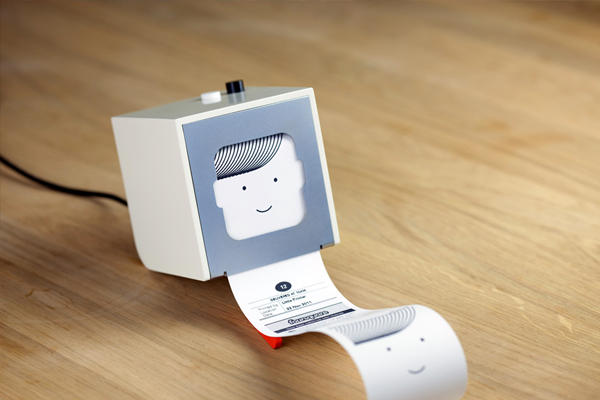 Oh my goodness, this little printer is so adorable! It prints out receipt sized lists of a variety of things and you can even print from your phone. Watch the video clip here to see how it works here. Eek! Very cute and well designed. It launches as a beta product in early 2012. This is the coolest thing E V E R ! So cute!! This would be perfect for me. I am such a list maker and could definitely use this. Oh, Yikes, This kind of thing makes my day, I love it! I just saw someone tweet about this. I have no need for a full-sized printer at home (too clunky!) but something like this would be amazing! I need this. Emma needs this. We all need it!! Adorable and practical, gimmie gimmie!